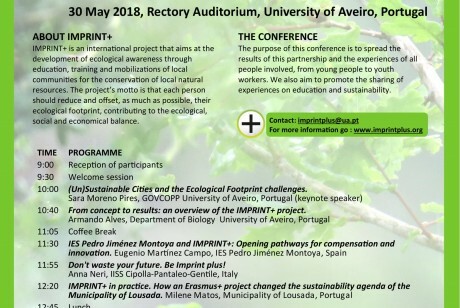 In this international conference we will showcase all the projects achievements, results and available resources, and we will share best practice with all attendees. The conference will be particularly interesting for teachers, youth workers and environmental education practitioners. Meet us next May 30th in beatiful Aveiro, Portugal!